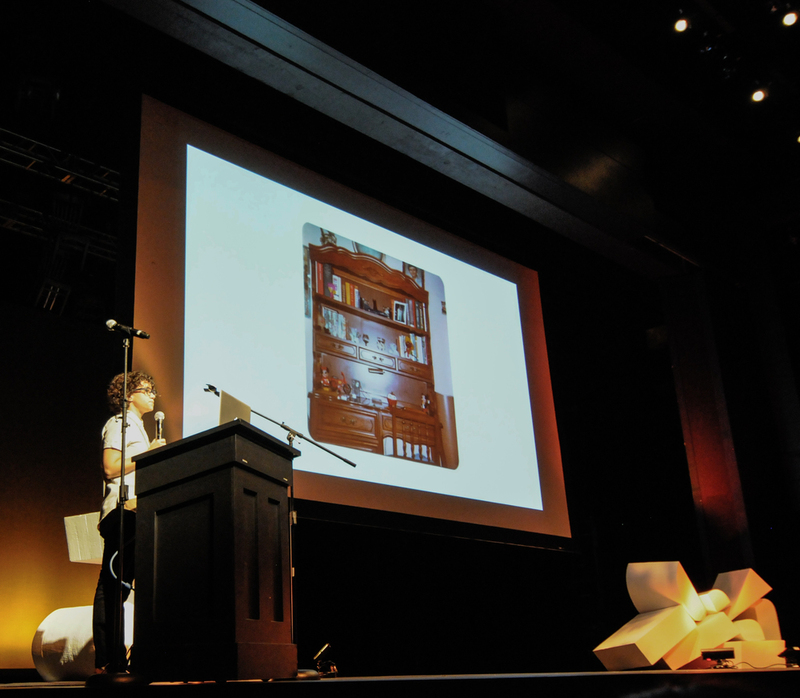 Early this October, local, national and international makers and designers took to the stage to share their insights into the creative process during the inaugural, day-long design conference WeMake Celebrates at The Armory in Portland’s Pearl District. 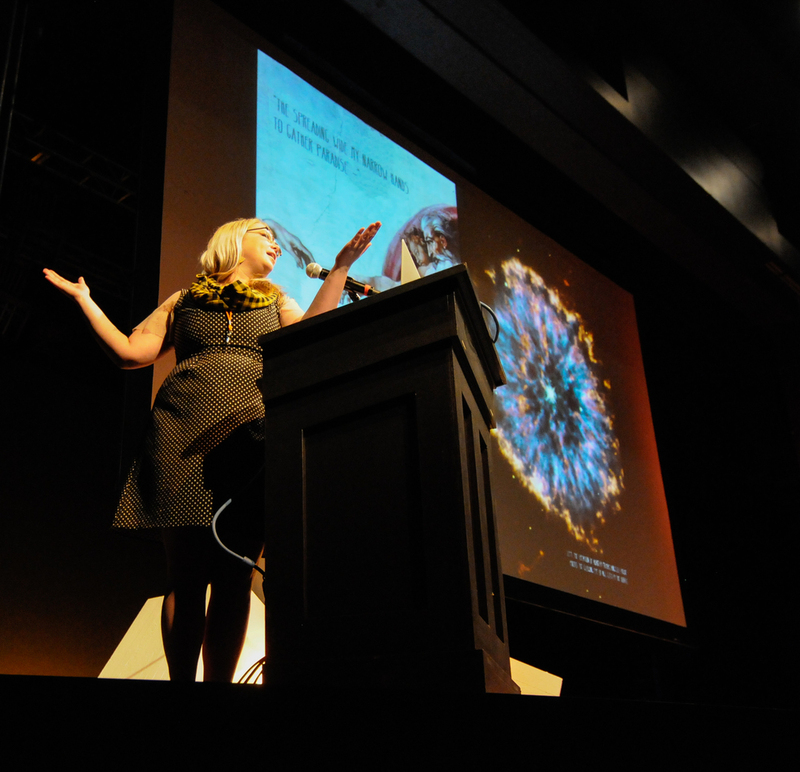 350 attendees laughed, cried, and left inspired by the diverse and talented presenters. It was a day of make-believing. Artists in the spotlight included Australian typographer Gemma O’Brien, New York designer Timothy Goodman, Chicago-based photographer Paul Octavious, Chicago printmaker Veronica Corzo-Duchardt , local legends The Official Manufacturing Co. (OMFGCO), and poet/strategist Leah Noble Davidson. 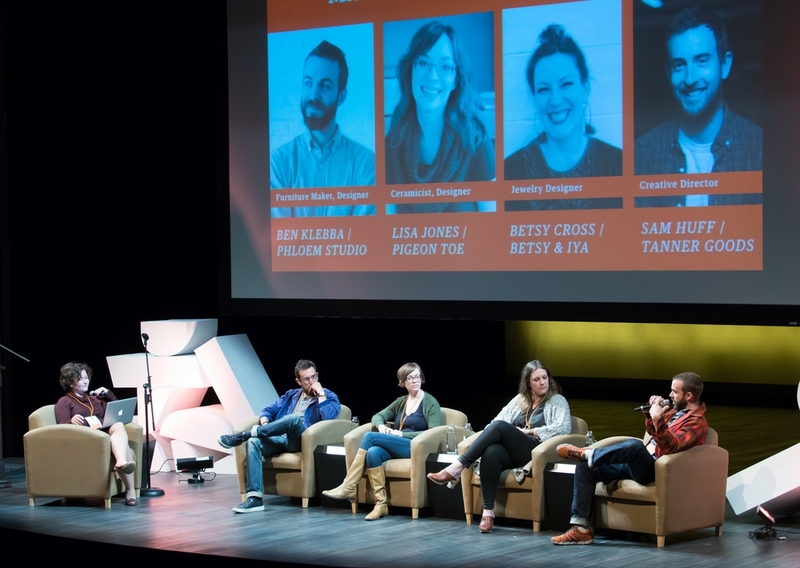 The conference was honored to host “Small Scale" moderated by Oregon Public Broadcasting’s April Baer and featuring four local makers whose products have received nationwide acclaim: Phloem Studio , Betsy & Iya, Pigeon Toe Ceramics and Tanner Goods. 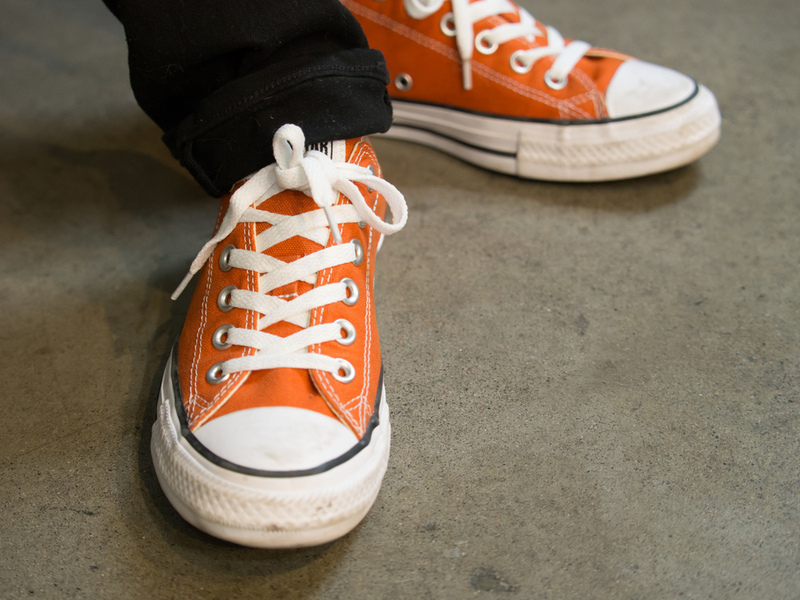 Pieces of this discussion can be heard on an upcoming broadcasts of State of Wonder on OPB Radio. 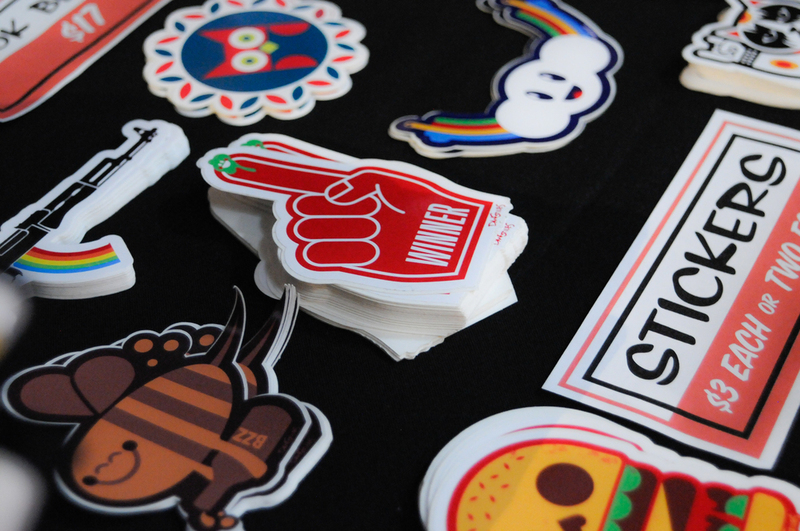 Two local innovators presented their latest creations. 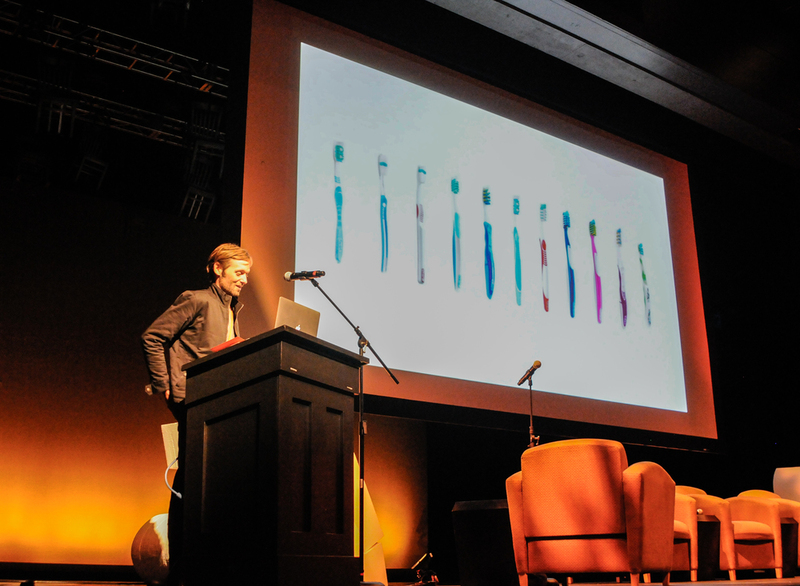 First Patrick Triato demo’ed a revolutionary sustainable toothbrush and biodegradable flossers and challenged makers to make good, not just good design. Ian Coyle followed with a look at a new app that takes digital messages and releases them into tangible letterpress notes delivered via USPS. 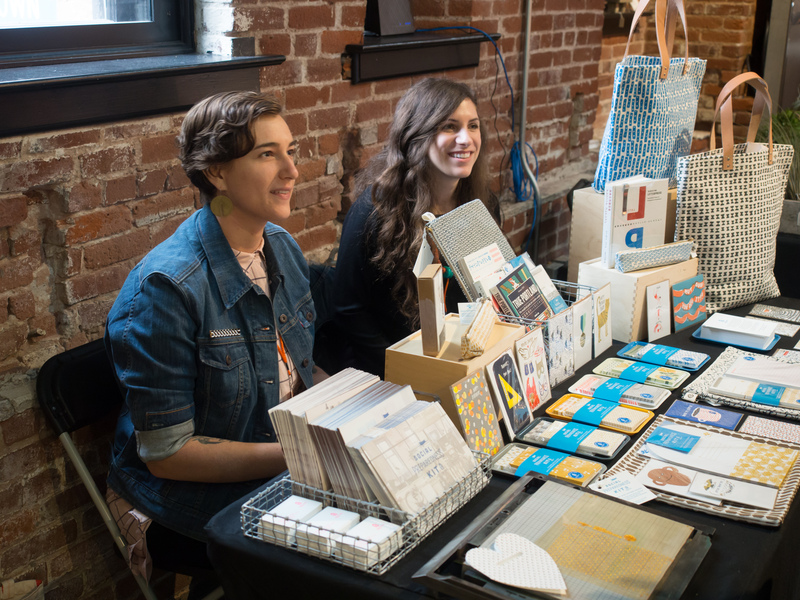 On the mezziane level of The Armory, a pop-up Maker Market featured goods created by Dan Stiles, Egg Press , Meg Hunt , Anna Joyce , Sam Larson , Rory Phillip, Nathan Yoder , Finex , A Pot Spot , MadeHere PDX , and Orox Leather. In addition, more than $6,000 dollars was donated to local arts organizations (Schoolhouse Supplies https://www.schoolhousesupplies.org/ , Ethos (http://ethos.org/) and SMART http://www.getsmartoregon.org/ ) to make art, to make music and to make readers. 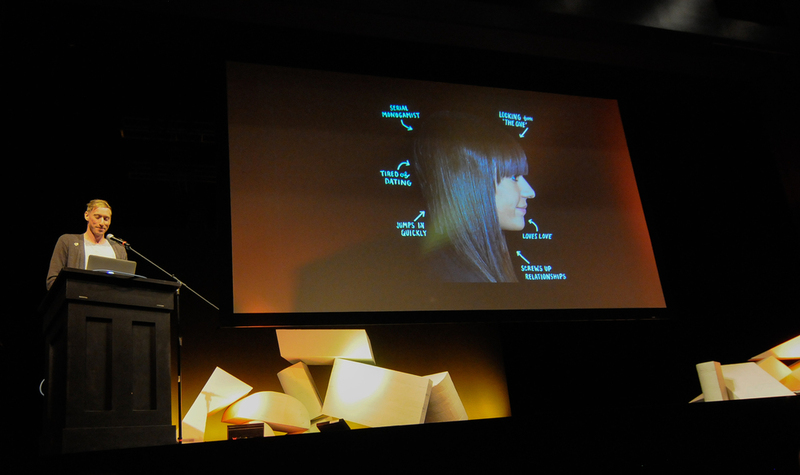 We'd like to thank all the amazing sponsors for this year's WeMake Celebrates. Their commitment to the creative community in Portland is outstanding. Because of their generous donations, each sponsor helped to create inspirational content and support of WeMake's mission of design-in-action. 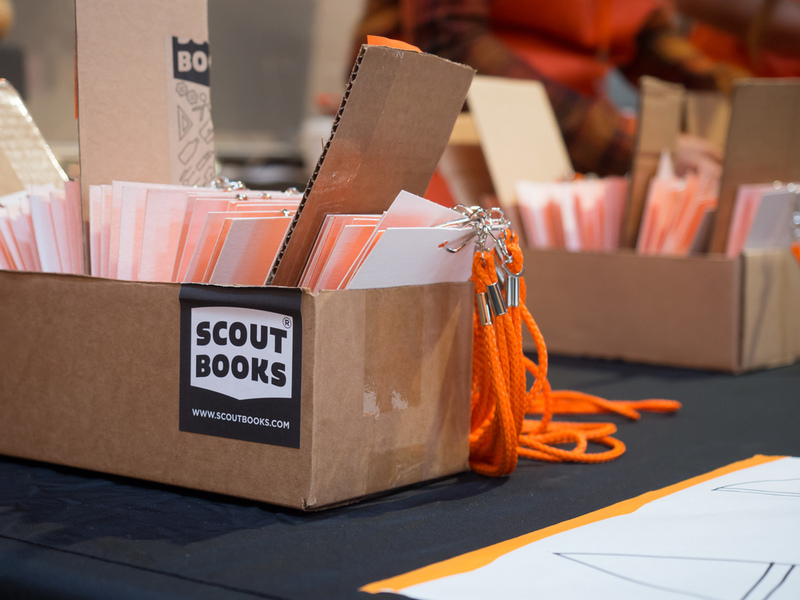 Donating sponsors of the conference were Campaign Monitor, Adobe, Weiden + Kennedy, West Coast Paper, Vitamin T, CreativeLive, Scout Book, OPB, Guild, Uppercase Magazine, HouseSpecial and Widmer Brothers. 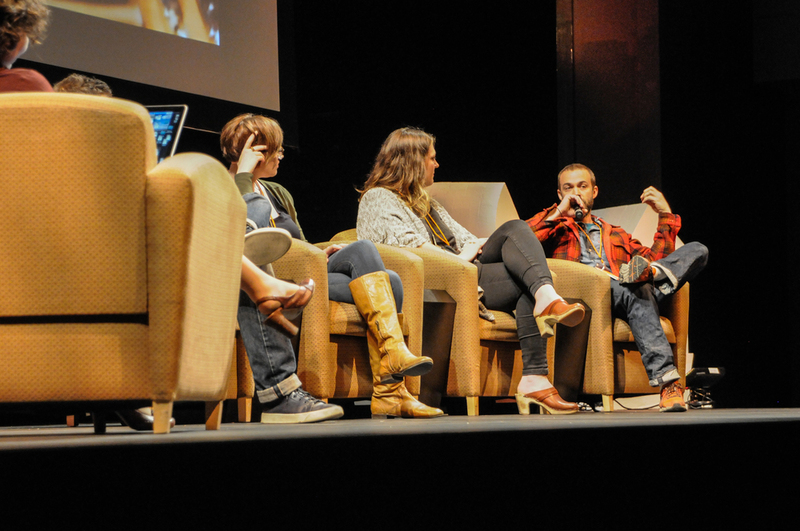 The conference will return in October 2016 with more makers and new ideas. 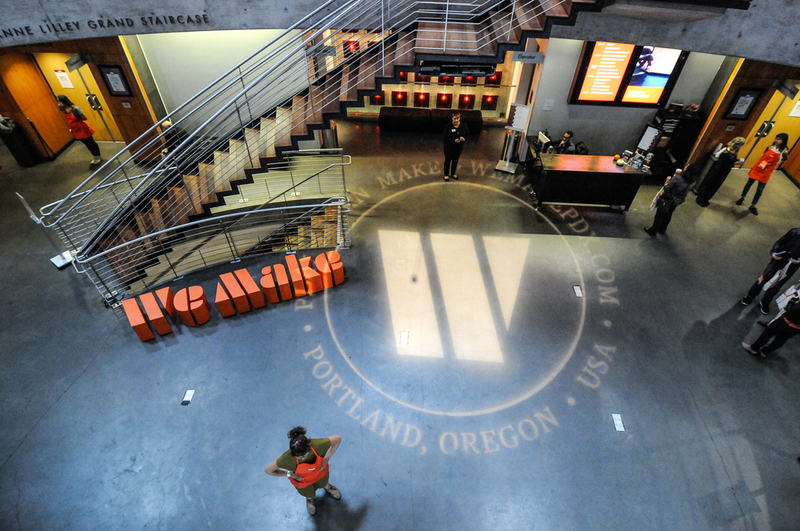 Soon in the calendar, WeMake will bring inspiration via community-based events during Portland's Design Week in April 2016. 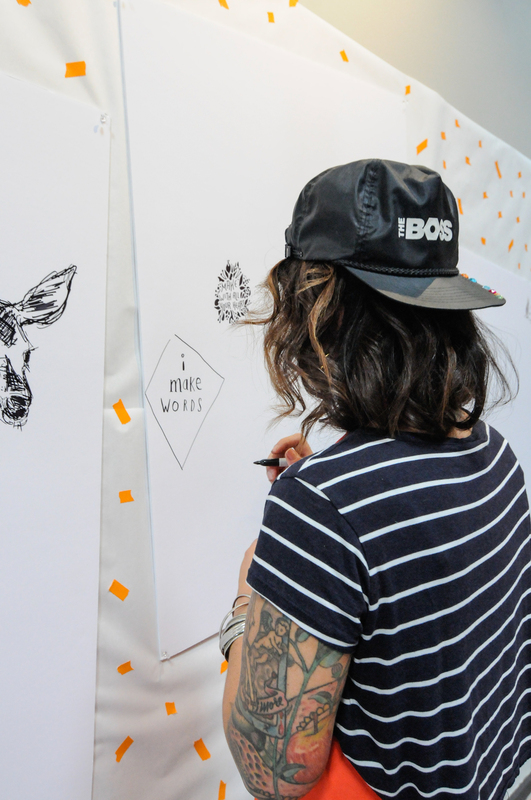 For more information about upcoming events including workshops and sketchXchanges, sign up for the WeMake Newsletter.